The Community BBQ was held on Wednesday 3 April at Butler Park Lennox Street, unfortunately this will be the last, the City of Yarra will be reviewing the outcomes and partnerships with other community groups. The volunteers who have given their time to assist with the BBQ's have found the experience very rewarding and an opportunity to support those who are less fortunate. Thank you to Melinda for coordinating this and to the volunteers who have supported this community activity. Simon Osborne Economic Development Coordinator reassured me that we will be considered for other community BBQs and the Club will look forward to supporting these. Thank you to the City of Yarra for this opportunity. Lendlease are offering to hold an afternoon tea for our members on Tuesday 16 April at 2pm and if we are able to have 10 members and friends attend, they will provide us with a donation of $500. This provides an opportunity for members and friends to enjoy some fellowship and to see the proposed development of the GTV 9 Bendigo Street development. Please support this opportunity and the partnership that we have developed with Lendlease - we need a minimum of 10. Maria and the Youth Services committee are liaising with Richmond High School to arrange a tour of the school, once we have a date and time confirmed we will advise our members and friends. Rotarian Annette Pepper has been providing mentor support to one of the students at Richmond High School - thank you Annette. Interact - we are hoping to charter the MGC Interact Club on Tuesday 18 May - this should be confirmed shortly. We look forward to meeting the D9800 Scholarship recipient at a club meeting shortly, this student will receive a two-year scholarship supported by a D9800 scholarship matched by our Club. National Youth Science Forum participant and MGC student Molly Sharrock has been selected to attend the International National Youth Forum to be held in London in September, we hope that we will be able to provide some support to Molly for this incredible opportunity. We are currently working with District Foundation and Youth Services to provide funds to support Molly's participation at the INYSF - we will keep you advised. In recent months attendance has wavered at our Club Meetings and at the March Board Meeting I asked a small working group to look at how we maybe able to improve this. The working group includes: John Benger, Nia Holdenson, Trevor Pang and Jenny List - I am sure they will appreciate your comments and suggestions for us to make a difference. (Please email one or all if you have some ideas to share with this team.) They will be able to report back at the April/May Board Meeting. I know that in the year ahead we may see changes and input from our members and friends into how we can better meet your needs would be appreciated. I acknowledge that there are different ways for many of us to support the Club, through our volunteering, assistance through work, and other support we receive from our members and friends. 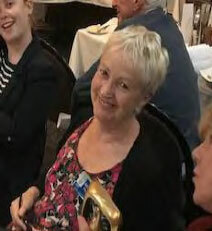 I also acknowledge that attendance at meetings is impacted by our members and friends who are enjoying their holidays or those who may also have other commitments etc..
Eiman has been working very hard and covering a colleague's maternity leave - we are looking forward to seeing Eiman back at the Club soon, Eiman sends her best wishes. Goldit informed me that there have been some difficulties in his community and has had a recent family loss, we send Goldit our condolences and best wishes and look forward to his return to meetings when the time is right, Goldit sends his greetings. Chew has been having medical treatment in recent months which has made it difficult for him to attend meetings - we send Chew our very best wishes and hope to see him soon. We are also delighted to welcome our 2nd Grandchild, our adorable grandson Jack a brother for Pip. Next Meeting will be Monday 15 April This will be a social meeting - Nia has arranged a DVD presentation on the history of the Club which had previously been prepared by Chew Chan and John Griffith. Death of Geoff Clarke's daughter. The Club ws saddened to hear the news that Goeff Clarke's daughter Lynne has passed away. Lynne wasa twin, to Geoff's other daughter Ann, and was not well when Geoff died. Her funeral will be held in Ballarat on Tuesday 9th April. We extend our deepest sympathy to the Clarke family. "BRAVO to you Annette - this is fantastic news. 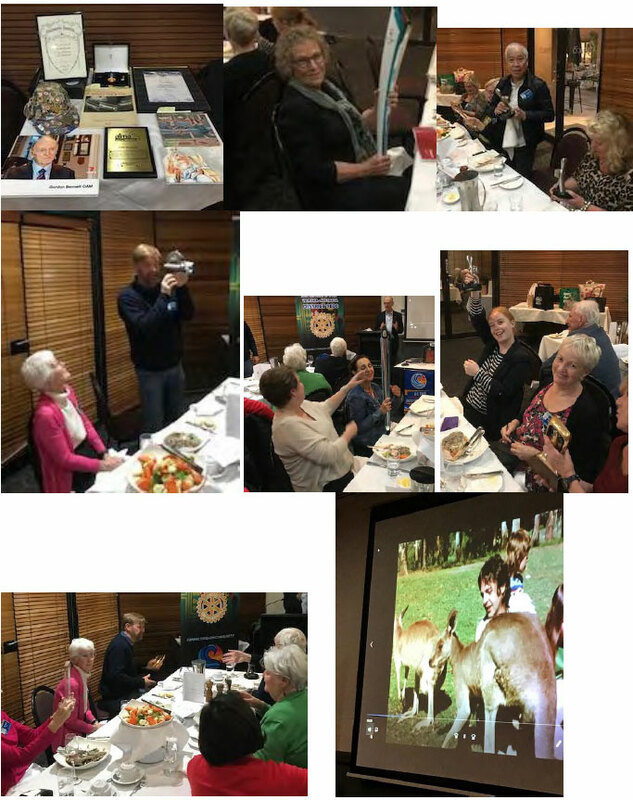 In a short time - we have seen you transform from a customer at our Motto PopUp Shop to a Friend of Richmond Rotary to a very active Club Member to an overseas volunteer "Championing" a Club International Project. You are indeed an inspirational person & we are pleased to have you as a fellow Rotarian & very dear friend who encompass impeccable Rotary Ideals." volunteer replacement to go back in May in his place. This project was originally brought to our attention by students form Melbourne Girls' College and Richmond sought a matching grant that was not successful. This is an outstanding Rotary learning program held over 2 Sundays and led by PDG Julie Mason. It provides a solid introduction to Rotary basics including growing your club, Foundation, PR and marketing and knowing and leading your teams. A component of the program is the opportunity to meet others from different clusters and clubs; to develop networks and share ideas and projects. Therefore, we must have at least 14 people for an effective program. It is ideal for President Elects to bring along their executive team to; then you all have the same understandings prior to the new Rotary year, and have common understandings about Foundation, public image and teams. The Montague School, South Melbourne. 9am to 3pm with a short lunch break and lots of resources provided. 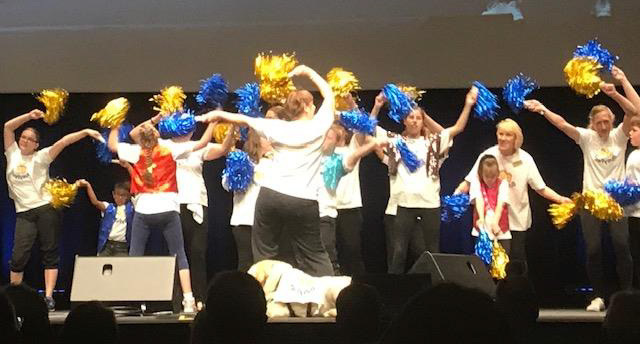 Participating doesn't mean you have to step up to a leadership role, but it will give you a huge amount of Rotary knowledge and leadership skills pertinent to a voluntary organisation should you decide to do so. If you completed RLI a number of years ago, maybe you'd like to refresh! If the Parts 1 & 2 date works for you, but not the Parts 3 & 4 date, you could complete parts 3 & 4 later. Join us to hear historian Jim Claven recount some lesser known aspects of the Greek connection to Australia's Anzac tradition. He will focus on lesser known yet vital role that the Greek Island of Lemnos played in the Gallipoli campaign and as the location for the negotiation and signing of the armistice which ended the First World War in the east. 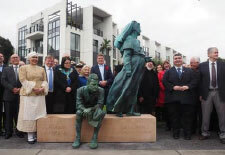 Jim will also make reference to the Australian soldiers and nurses who went on to serve on the Salonika Front from 1915 until the end of the war (a role recognised on Kew's War Memorial), including Ballarat's Sister Grace Munro. This connection would continue into WW2 with the arrival of thousands of Australian soldiers - as well as nurses - to take part in the defence of Greece. 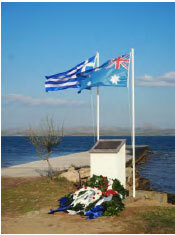 Finally he will outline his current work in promoting the development of Greece's Anzac Commemorative Trail. Sisters on Lemnos Island. Lemnos 1915. Jim Claven is a freelance writer, historian and has been Secretary of the Melbourne-based Lemnos Gallipoli Commemorative Committee since 2011. He studied history at Melbourne's Monash University, completing a Master of Arts Degree. He has written extensively on the ANZAC connection to Greece, particularly the role of Lemnos in the Gallipoli campaign, and is researching the ANZAC trail across Greece, having led a number of commemorative tours throughout Greece. 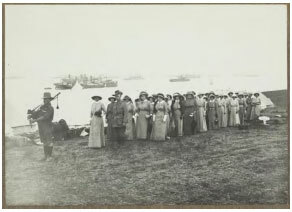 With the Committee, he has worked for the erection of Australia's first memorial dedicated to the role of Lemnos, the Lemnos Gallipoli Memorial erected in Albert Park on the centenary of the arrival of the nurses on Lemnos in 1915 (at left) as well as the erection of the Australian Pier Memorial on Lemnos itself, unveiled in April 2018, the first major piece of infrastructure built by Australians on Lemnos during the Gallipoli campaign - and still in use (above right). His latest publication - Lemnos and Gallipoli Revealed: A Pictorial History of the Anzacs in the Aegean 1915-1916 - will be released later this year. 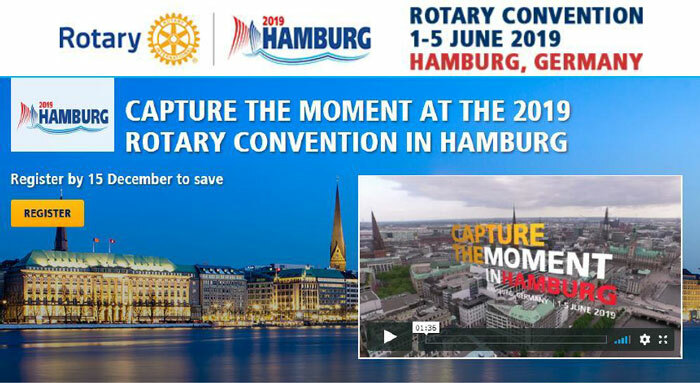 Not able to make it to the 2019 Rotary International Convention in Hamburg? We are happy to announce that Rotary International will livestream inspiring general sessions and key breakout sessions from the 2019 convention. You can watch them live or on demand, whenever you have time, for up to three months after the convention ends. Livestreaming is available in English, French and German for $95 (including all taxes). Click HERE for a list of general and breakout sessions. Ben is the Executive Officer for the Inner North Community Foundation, a local philanthropic trust governed by local people, for Melbourne's inner north. He is also the Chair of Australian Community Philanthropy, the peak body for the 38 community foundations across Australia. The Inner North Community Foundation has been a long-time supporter of RYAP and Next Step. Our next Community BBQ will be held on Wednesday 3 April at Butler Park Lennox Street, following this we have a BBQ booked for the 1 May at the same location. Following the last BBQ in May the City of Yarra will review the impact of the BBQ's and will report back and hopefully book more BBQ's in the 2nd half of the year. I met with Community Engagement Coordinator Lauren Brooker on Thursday and the City of Yarra is very committed to continuing the conversations which lead to actions. Lendlease are offering to hold an afternoon tea for our members on Tuesday 16 April at 2pm and if we are able to have 10 members and friends attend, they will provide us with a donation of $500. This provides an opportunity for members and friends to enjoy some fellowship and to see the proposed development of the GTV 9 Bendigo Street development. I have discussed this with Melinda and we agree it is another opportunity to raise funds for our Projects. This is a great opportunity for us to raise funds and I ask for your support - please advise me if you would like to join Melinda, Anna, Adam and myself - we need a minimum of 10. 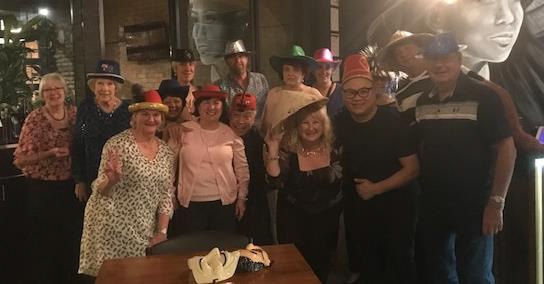 We had a great night, and enjoyed loads of fun and entertainment at our Club Trivia Night on Saturday Night. 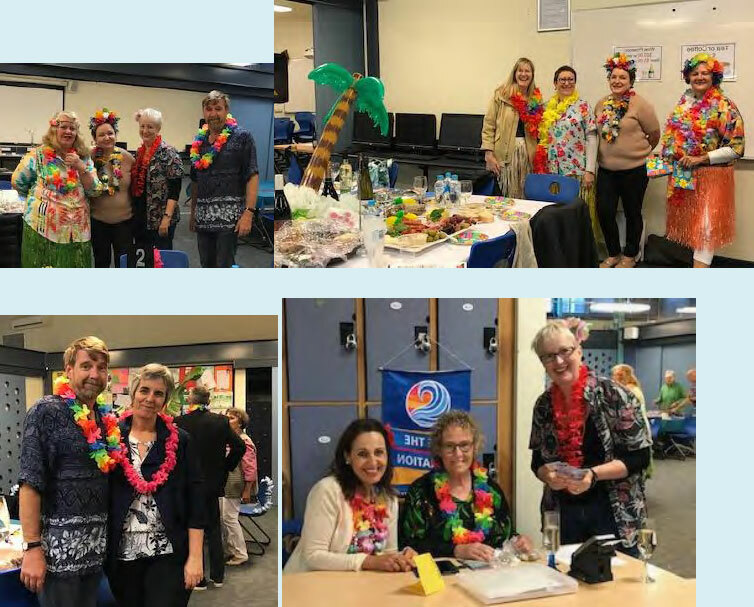 Attendees joined in the fun of the Hawaiian theme and dressed up for the occasion including dressing their tables. The Pang Table was a stand-out - an amazing table setting. Great to see a table of Melbourne Girls' College students who came along to support the Club, they were having fun! Most importantly I would like to thank Melinda Dunkley and her team - Melinda coordinated and managed the event and the outcome is testament to her efforts. Melinda, I thank you so much for your efforts as the Fundraising Chair in my year as President and feel that I cannot express my appreciation sufficiently, please know it is with my deepest appreciation. 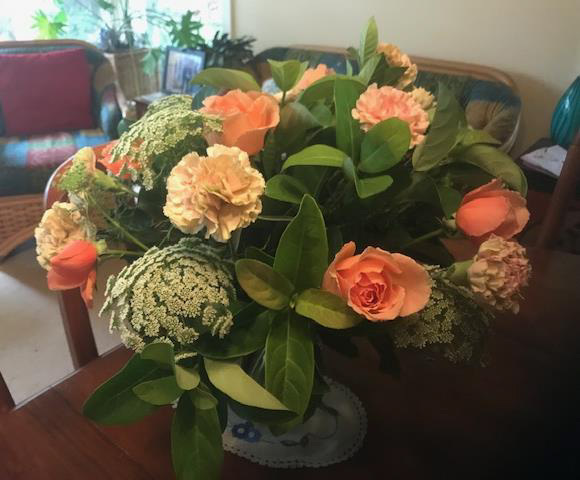 We will acknowledge our donors on the website and in the Bulletin and will liaise with Trevor and Sue to ensure they all get a mention - we are very grateful to local businesses and friends who provided vouchers and goods for our silent auction. Please advise Melinda Dunkley if you are able to volunteer for the BBQ's. We can support our fundraising efforts by sharing information, inviting friends, family and colleagues and by extending invitations beyond the Club. On Friday 29 March Mark Dwyer and Adam Sherwell transported six MGC students to the RYPEN Camp which was to be held at Camp Walkaway - Benloch and on Sunday 31 March Brooke O'Callaghan and I collected the students to return to their homes after a very successful RYPEN Camp. RYPEN D9800 is a Youth Leadership conference for young people who are between 15 and 17 AND are year 9, 10 and 11 students. The conference is a weekend long camp designed at developing young people's potential through a mixture of lecture style sessions and adventure-based learning. RYPEN is designed for students who are seen as upcoming leaders in their school, not those students who are already leading and achieving amazing things or those at the bottom end, but those students who just need a bit of a push and a confidence boost to start achieving at their full potential. RYPEN has as its principal aim, to communicate to young people taking part in the program a series of ideas, problems and social experiences which will assist them in forming their own values and moral standards and allow them to broaden their horizons culturally, socially and academically. Nothing is forced upon the young people - they are free to discuss and interpret what they experience and above all, the Rotarians or Leaders who are involved in running the conference do not patronise them. National Youth Science Forum participant and MGC student Molly Sharrock has been selected to attend the International National Youth Forum to be held in London in September, we hope that we will be able to provide some support to Molly for this incredible opportunity - well done Molly!! Molly brought along a number of her friends and fellow students to support the Trivia Night last night. 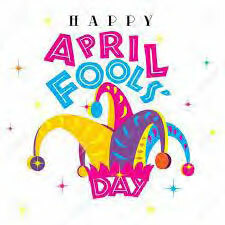 Now whose the April Fool? 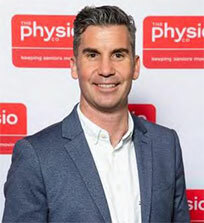 Tristan White is the Founder and CEO of The Physio Co, a healthcare business that has been listed as one of Australia's 50 Best Places to Work for 10 consecutive years. 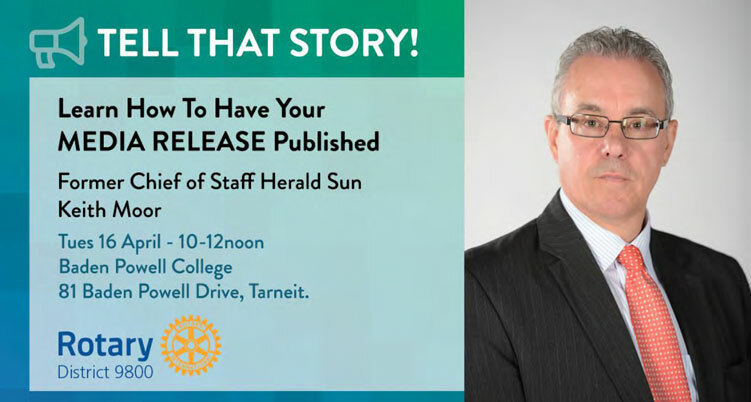 His presentation will include the journey from start-up business owner to expanding across Australia and the inevitable growing pains in making that happen. Tristan will also share his learnings from hosting a podcast with interviews from guest including Paul Roos, Janine Allis, Shayne Elliott and Ben Hosking. Tristan has a great story to tell - Ben Hosking will be the Chair, please come along and hear Tristan's remarkable story. Last week's speaker, Gordon Bennett, once again enthralled us with his 60 years of experience in the radio and TV business. We were especially delighted to see part of his movie Wings over America that wsa made with Paul Mc Cartney and family. Gordon also prodecued a myraid of awards and momentos that captivated everyone's attention. No-one will ne sorry to see Gordon return for a third airing of his wonderful life. Plaque celebrating 25 years between Richmond Rotary Club and Melbourne Girls'College. "Wonderful bulletin Sue. Congrats to all your members on such a wonderful partnership with MGC. I sent several of my best girls to MGC from Flemington PS before the strict zoning came into place, and they adored their time there." Did you notice the articles in Edition 12 about our newest member, Emily Miller, and of our 25 year association with MGC? Gordon will reprise his recent talk about the early days of television, and fill us in on his tour with Paul McCartney and Wings. Not to be missed. Sally O'Sullivan from Friends of Richmond Rotary (FORR) will be at our meeting tonight to collect groceries for the Salvation Army. These will be distributed amongst the needy of Richmond. Be generous and shop up big. The students that have been selected by their teachers from Melbourne Girls' to attend these programs are invited by the club to speak to our members, friends and guests at a meeting on Monday evening. The above mentioned students spoke with gratitude of how these programs inspired them and broadened their opportunities with designing their future pathways. Some students mentioned that although they didn't know what to expect when they were offered the opportunity, the fact that they engaged in their respective projects they felt that they were empowered and gained new skills such as public speaking and the confidence to think that they have a voice and their voice mattered. They also gained awareness of global projects that they can pursue through Rotary and they are actively pursuing them at the moment and we have offered to be there for them should they need any further assistance from our club. 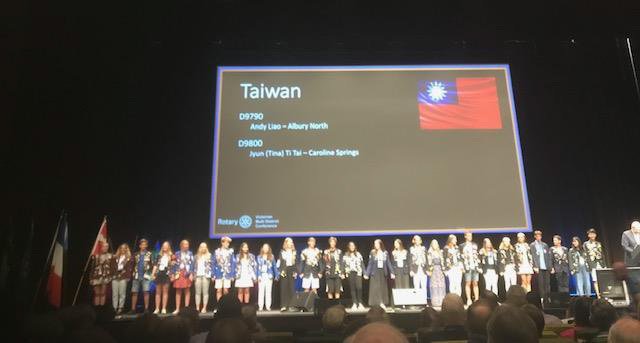 We are very pleased to share the recent news that Molly Sharrock has now been selected for the two week International Youth Science Forum in July/August of 2019 which will be held in London. She will be representing our club and Australia. We congratulate Molly Sharrock on being selected to attend the 61st London International Youth Science Forum with the underlying theme being "Science at the Interface" with; society; business; policy; government; as well as implications not only economics, but also socially and culturally. 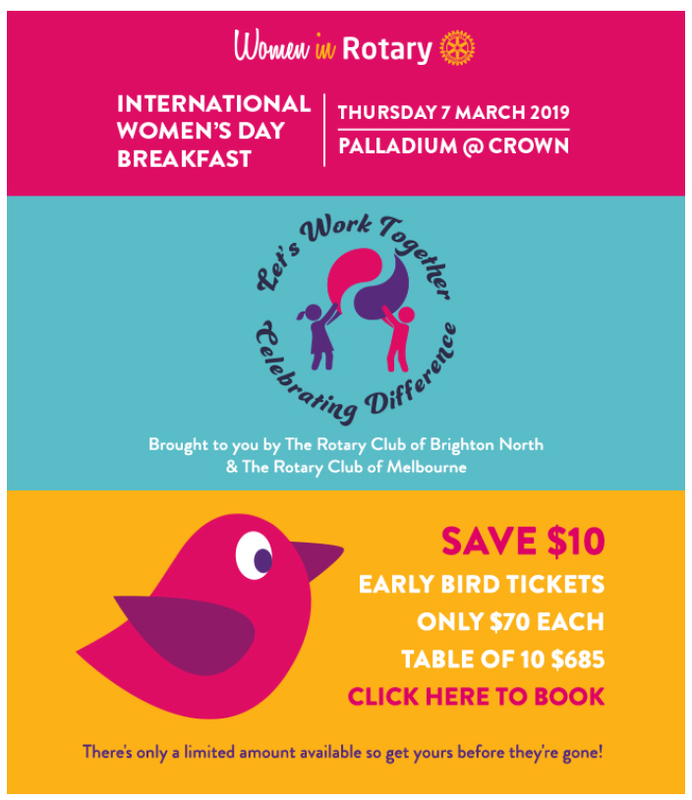 The partnership between the Rotary Club of Richmond (RCR) and Melbourne Girls' College (MGC) is a powerful and positive partnership that connects with the local community. Emily Miller, a teacher of mathematics and business management at MGC, is our sixth teacher liaison teacher to be inducted as a Rotarian and she joins past teacher liaisons, now Rotarians with our Richmond Club, Sue Bolton, Nia Holdenson, Maria Makris and Brooke O'Callaghan. 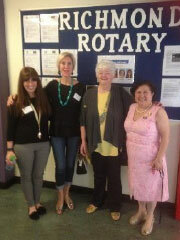 Emily will be mentored by Rotarian, Maria Makris. Emily is currently supporting MGC students to attend the District's 9800 initiatives: the Model United Nations Assembly (MUNA) and the Rotary Youth Program of Enrichment (RYPEN). We welcome Emily to our club and we look forward to her fellowship and participation in Youth Services. One of the requests from our new partnering school in Richmond came from the Assistant Principal, James Taylor from Richmond High School (RHS). Our Rotary Club of Richmond applied to our District 9800 for a matching grant to provide RHS with books and literary resources for their library and we are happy to announce that we have been successful. We will commence this project very shortly. The funds that have been provided between our club and the district is five thousand and we will work in partnership with the school that the resources selected meet their students' needs. Richmond High School opened in 2018 with 76 students commencing year 7. This year it has increased to 180 students in years 7 & 8 and for each consecutive year the number will increase as the year level progresses. The community of Richmond is very diverse, socioeconomically, culturally and intellectually. The students of RHS are representative of the local community. The cohort of students is all local residents. By providing rich literary resources, equivalent to any other school, we are ensuring that the students are not disadvantaged educationally. We are ensuring that all students will have the opportunity to learn and to participate by having access to a wider number of resources that would not be possible without our support. Purchasing books and resources for a school library is a huge and expensive task beyond the capabilities of a very small (to date) school community. Support from external sources would make an immense difference to the opportunities that the staff and students could access. This week the Rotary Club of Richmond was recognised for its contribution and partnership with the Melbourne Girls College. 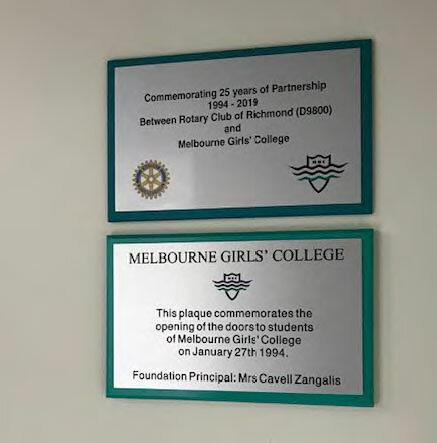 The school unveiled a commemorative Plaque which acknowledged the 25 year the partnership between the Rotary Club of Richmond and the Melbourne Girls College. A number of members were in attendance and also enjoyed the Mad Hatter's Tea Party. The Board and Committee Chairs had a very full Board Agenda last Monday, we were delighted to welcome Rotarian Andrew Cochrane who was able to provide an update on the International Maluk Project in Timor Leste. Andrew informed us that the direction of the project will focus on training and education for health professionals, so that they con better support their community. A small working group has been formed to look at Meeting attendance and how we can improve this and at the same time meet the requirements of the Amora Hotel. The Club will submit a nomination for the District Awards and I will provide more information over next few weeks. District Policies are distributed to members on receipt and the Club operates under the governance of the Club By-Laws and District. We are committed to keeping our members informed. Our Community BBQ was held on Wednesday 3 March at Butler Park Lennox Street, following the BBQ on the 1 May the City of Yarra will review the impact of the BBQ's and will report back and hopefully these and other BBQ's will be offered to the Club. Annette and I attended the History Walk of the GTV 9 - Television City site on Tuesday. Leandlease supported this community connection event. David Langdon a member of the Richmond Historical Society and a Friend of Richmond Rotary facilitated the very informative presentation and the short tour of the site. Annette and I were definitely taken on a trip down Televisions Memory Lane and the presentation included some historical footage. It took us back to the early days of the site and surrounds including the Burnley Gardens, the race track and reference to the indigenous people living in this area long before development. 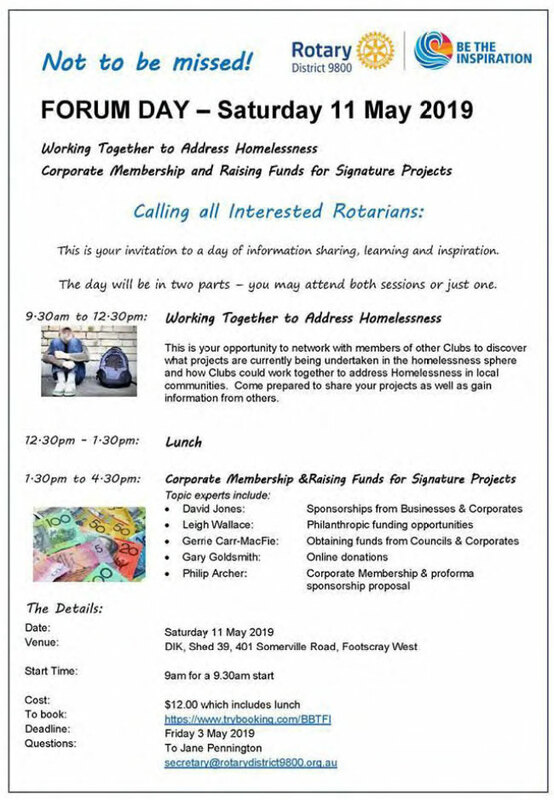 Lendlease are committed to continuing the community connection with the Rotary Club of Richmond and other service groups. Lendlease are offering to hold a morning or afternoon tea for our members and if we are able to have 10 members and friends attend, they will provide us with a donation of $500. This provides an opportunity for members and friends to enjoy some fellowship and to see the proposed development of the GTV 9 Bendigo Street development. I have discussed this with Melinda and we agree it is another opportunity to raise funds for our Projects. Motto Pop Up Shop was held on 16 March a major fundraising event This was another successful fundraising event and I would like to thank Faye and John Browne - Motto Fashions for their continued support and generosity. I would also like to thank the Michaelidis family for their support ensuring our Motto stock and other items are stored and accessed as we require them. Club Trivia Night on 30 March to be held at the MGC. - this is our major fundraiser for 2018-2019 - Please support our efforts all monies raised ensure the Club continues to have successful projects which make a difference to many living in our community and beyond our borders. 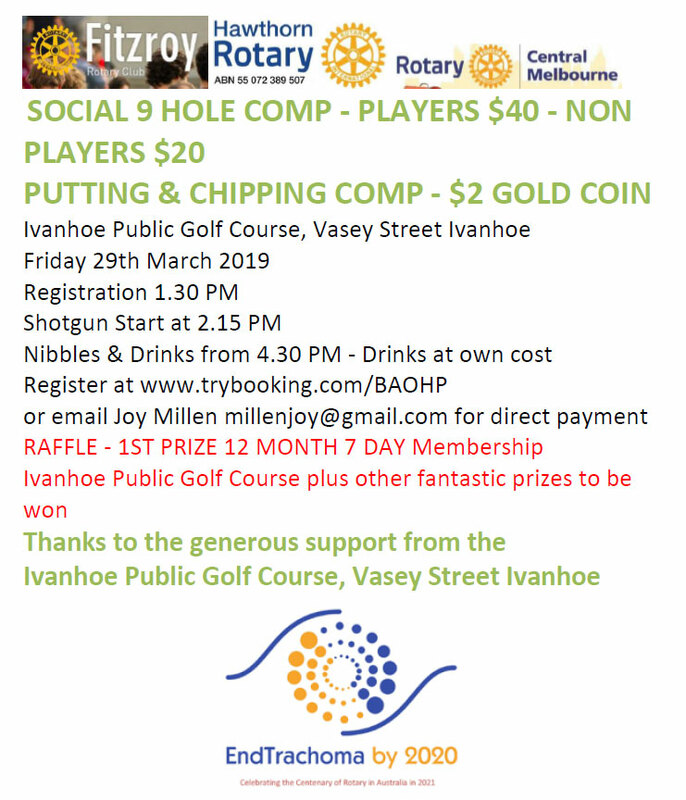 Next BBQ is the Wednesday 3 April and we have another booked for 5 May, the City of Yarra has been very pleased with the effort we have made to provide these BBQ's and this also raises funds for the Club. Please advise Melinda Dunkley if you are able to volunteer. 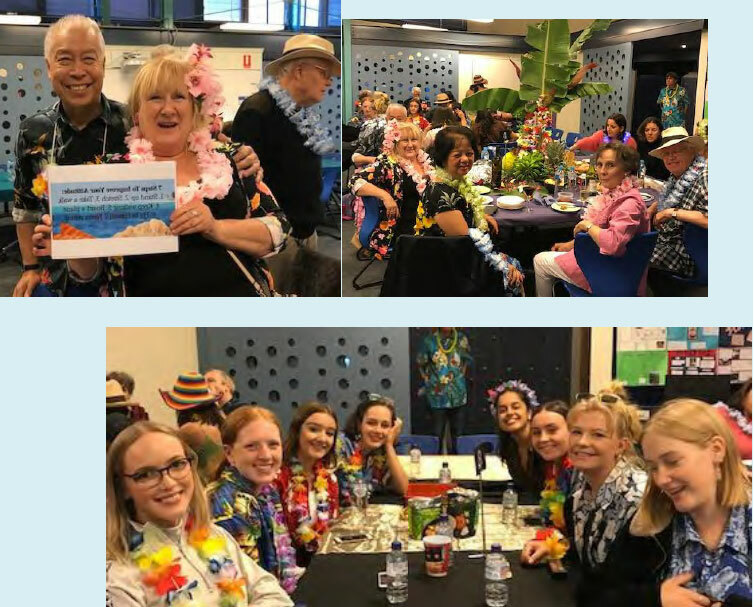 The partnership between the Rotary Club of Richmond (RCR) and Melbourne Girls' College (MGC) is a powerful and positive partnership that connects with the local community. On Saturday the 24th of October of 2015, RCR celebrated MGC's 21st Birthday. On the day of the birthday celebrations the then RCR President, Nia Holdenson, felt a sense of pride when she stood next to Sue Bolton past RCR president and past MGC teacher. 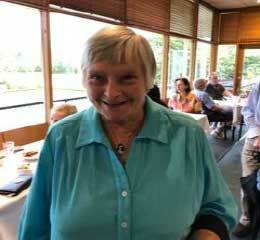 Sue was a teacher at the school and the first MGC staff member to join the Richmond Rotary Club in 1997, becoming Club President in 2002-2003 and 2012-13. President Nia Holdenson was another former MGC staff member and Richmond Rotarian and she was inducted in 2001. Nia had long held the position of the RCR's New Generations Chair and worked diligently to keep the communication channels open between the two organizations, to the benefit of the students in particular. The then, President Nia Holdenson inducted Maria Makris to the Rotary Club of Richmond in 2014 who was a teacher at MGC. Maria is now the chair of Youth Services (alias New Generations) and chair of the Slade Literary Award. In 2016 President Nia Holdenson inducted one of our youngest members who is also a teacher at MGC, Brooke O'Callaghan. 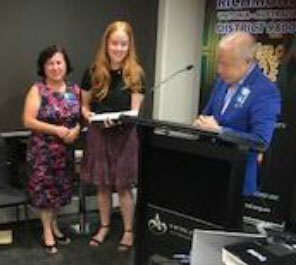 On Monday the 4th of March 2019, Vice President Trevor Pang inducted our newest MGC teacher liaison Emily Miller who is the sixth teacher to become a Rotarian since MGC opened its doors to the education community in the City of Yarra. Last Saturday, the 23rd of March a great honour was bestowed to the RCR and while MGC was celebrating its 25th birthday celebrations, the Principal Karen Money with the assistance of current President Jo Cowling, unveiled the plaque which commemorates the special partnership of the school with the RCR. It is a testament to both institutions that partnerships that work together serve their communities in a peaceful, supportive and helpful way. All along developing the young members of their community to grow and develop to be strong leaders of tomorrow but with a benevolent heart. RCR supports students from MGC in attending the Rotary Youth Program of Enrichment (RYPEN), the Model United Nations Assembly (MUNA), the National Science Forum (NYSF), the ConocoPhillips Science Experience, the Rotary Youth Leadership Award (RYLA), the Ainger-Peck Public Speaking and Slade Literary Awards, Youth Exchange (YE) inbounds and outbound, the International Women's Breakfast (IWB) for the student leadership team, as well as running the school's annual Mock Job Interview Program for Year 10 students. Each year the Club presents the Rotary Club of Richmond Community Services Awards to two MGC students who have been active in community service and worthwhile endeavours. The Science, Technology, Arts and Mathematics (STEAM) Award was introduced in 2015 as a new Award that recognizes the endeavours of a high performing student in the curriculum. The highlights of our Monday club evening presentations are when the MGC students are invited to report back on their many RCR supported programs and activities. The students show such grace and gratitude in speaking with confidence about their opportunities in many areas of their personal growth and development. It is always with a sense of pride when we listen to the young people's experience that our club has been instrumental in providing them with opportunities beyond the classroom. 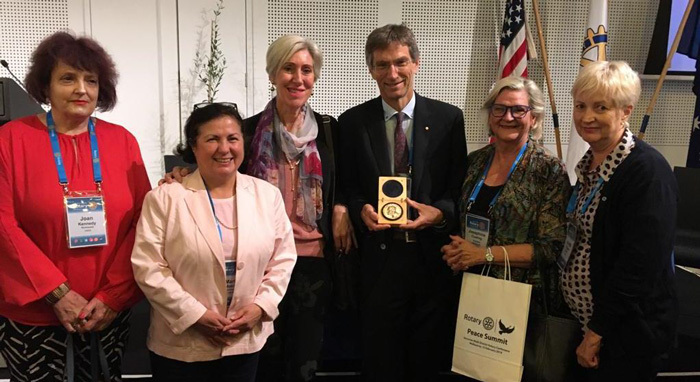 Sue Bolton, Nia Holdenson, Maria Makris, Brooke O'Callaghan and Emily Miller are all educationalists that have committed to this positive partnership, with the ongoing support of President Jo Cowling, their fellow Richmond Rotarians and Melbourne Girls' College Principal, Karen Money. The Rotary Club if Richmond is delighted that the school has recognized the Clubs 25-year contribution to the school and students of the Melbourne Girls College. We have been so fortunate to have formed such a wonderful and worthy partnership with the school and today the unveiling of the Rotary plaque has provided a symbol of this recognition. Rotary is a global network of 1.2 million members who see a world where people unite and take action to create lasting change - across the globe, in our communities, and in ourselves. Rotarians are solving problems which take real commitment and vision. For more than 110 years, Rotary's people of action have used their passion, energy, and intelligence to take action on sustainable projects. From literacy and peace to water and health, we are always working to better our world, and to make a difference. 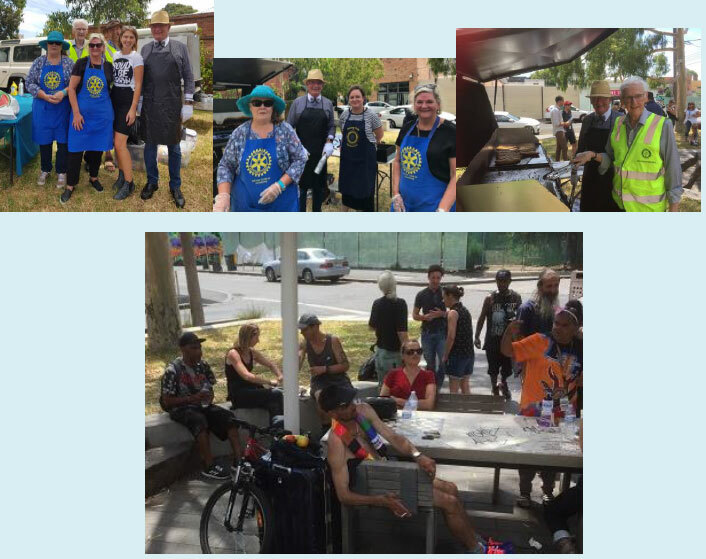 The Rotary Club of Richmond was chartered in 1964 in the City of Yarra and has been committed to this community and in particular Richmond for nearly 55 years. 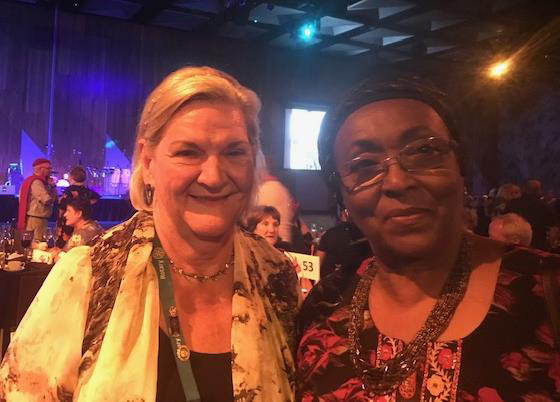 This week I asked past MGC teacher Sue Bolton to look back over our records from 1994 and identify the Rotary Programs and Projects that have impacted and provided opportunity to over 1000 students Melbourne Girls College students. Not long after this the Rotary Club of Richmond approached the school to send students to the Rotary Youth Program for Enrichment Camp. This program is for 15 to 17-year-old students, who are provided an opportunity to attend a weekend camp designed to communicate a series of ideas, problems and social experiences that will assist them in forming their own values and moral standards. And from here the journey continued with many Students participating in other programs such as the National Youth Science Forum and Rotary Programs such as Model United Nations Assembly, Youth Exchange, Community Leadership Programs, Mock Job Interviews, Ainger Public Speaking Awards, Slade Literary Awards to name but a few that have been made possible through the support and funding offered by the RCR. develop their personal and leadership skills, become more resilient and see the benefits of volunteering and the importance of connections between generations, cultures and countries across the globe. And this will be followed by the Mock Job Interviews Project and the Ainger Peck Public Speaking Heats and Awards to be held in May. At our Club Meeting on the 4th March students who attended a number of Rotary supported programs presented their experience to our members and friends and thanked the Rotary Club of Richmond for providing these opportunities. The RCR looks forward to the year ahead and we are committed to the programs that enhance and provide opportunity to young people. I would like to acknowledge the Principles and school leaders who through their decisions and actions have ensured that the partnership between Melbourne Girls College and the Rotary Club of Richmond has not only been sustained but in fact has grown. We salute the school's commitment to the Club through the support provided to MGC teachers to assist and engage with Rotary to ensure that students are able and supported to participate in Rotary projects and programs. I cannot finish without mentioning Rotarians and MGC Teachers past and present Jan Parkes, Sue Bolton, Nia Holdenson, Maria Makris, Brooke O'Callaghan and Emily Miller for their commitment to our Rotary Club and to the projects and programs offered to the students here at MGC. On behalf of our Members I would like to congratulate the School and to thank all the leaders who have recognized the importance and impact of the partnership we have formed. I hope that the next 25 Years will be just as rewarding for all of us!! Katrina Dwyer employed the Rotary Next Step Program as the Youth Case Manager and tonight she will to share her experiences with you. 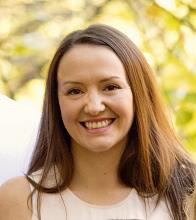 Katrina has a unique experience firstly specialising in executive recruitment and then retraining as a Youth Worker specialising in helping disadvantaged young people develop a career direction that matches their core capabilities. Each year Katrina works with 45 disadvantaged Young People who have been nominated by the staff of Collingwood College and Fitzroy High School because they are disadvantaged and need specialised individual help. Without Katrina's support, effective education and guidance it is highly probable they would not be employed, for the City of Yarra has the highest unemployment rate of young people in the age bracket 15 to 19 years in Victoria and Australia. Our success rate is greater than 70%. Without help they are unlikely to be employed. To help understand the power of this program Addo Abdullahi, 13 years ago, who while attending Collingwood College participated in the Rotary Youth Arts Project(RYAP) and then in the Rotary Next Step Program . Addo is now 29 years old a successful businessman, married with children. Addo from the Sudan could not speak English when he arrived a couple of years before he entered the project. Addo will explain what difference it made to his life. This program costs $45,000 and each year we raise these funds. There were two orations, both extremely moving. The first touched on the life of Simon Wonga, after whom Wonga Park was named. He was a Wurundgeri elder, a cousin of William Barack, and lived from 1835 to 1874 His goal had been to obtain land for his people on the Goulburn, where they could 'farm the land like the white man'. The site originally allotted to him was withdrawn and transferred to white settlers. Initially it was exchanged for land totally unsuitable for farming, but eventually he was given access to an area which historically had been an aboriginal campsite at Coranderrk, near Healesville. Worawa Aboriginal Girls College is now situated there. The second speech was the Oration to honour William Cooper, 1860 - 1941, delivered with emotion and pride by Kevin Russell, a great grandson. He told us that William was a bright student at the local mission school, a favourite of the school principal who wrote in his diary that William 'had learnt the alphabet in three days, and then taught it to other children'. - that he was a family man, one son, Daniel, joined the AIF and was killed at Ypres, Belgium, during WWI, another won the Stawell Gift. - in 1934: as secretary of the AAL (Australian Aboriginal League), he attempted to petition George V to grant Aboriginal representation in the Australian Parliament, but this was blocked by the Lyons government. - In 1938 he led a delegation of Aboriginal men and women to the German Consulate in Melbourne, protesting about the treatment of Jews in Germany, after the horrendous events of Krystallnacht. His petition was not accepted. He has been acknowledged by the Jewish Community in Victoria who in 2017 provided funds for his 88 year old grandson Alfred Turner, 'Uncle Boydie', to travel to Berlin and deliver to the German Government a replica of his 1938 petition. This time the petition was accepted. Uncle Boydie also visited Israel and laid a wreath at Beersheba, commemorating the Indigenous Australian soldiers who fought there. Kevin Russell concluded by saying how much pain he and other indigenous people feel that 10% of the Australian population had voted Against the 1967 referendum even though it was passed by a 90% majority. He made it clear that there is a still lot of healing to be done. I am excited to let all Rotarian friends and supporters at Richmond Rotary that I have been offered a position as Lecturer at Deakin. I am over the moon, and this has lit a further fire in me to get the PhD thesis DONE and DUSTED!! 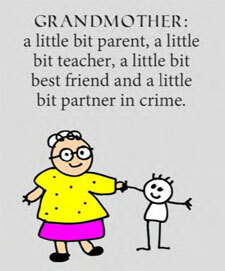 This week I am very pleased to inform you that Sue Bolton has recovered well from her recent health scare. Sue welcome back! The Next Step Project will be highlighted at our Club Meeting tonight and we will also be showcasing the project at our Celebrate Inspiring Woman event on Tuesday 26 February. 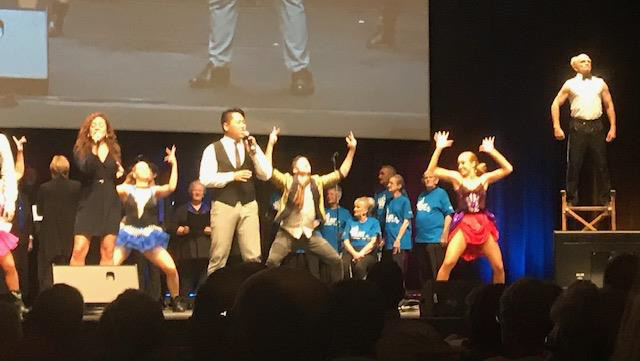 On Thursday night there was about a 3-4-minute segment on the Channel 9 news highlighting Rotary, Donations in Kind and the upcoming International Convention which will be held here in Melbourne 2013. The newsreel promoted Rotary and provided an opportunity for viewers to see what Rotary does through volunteering- I hope that this exposure to Rotary continues - we are a great organisation that needs to be recognised and the more people who know what Rotary does we may indeed encourage more people to join us. On Monday 18 February we held a Membership Focus Meeting, unfortunately we had only 15 attendees, however there was a lot of discussion. The meeting was facilitated by PE Adam Sherwell ably assisted by Rotarian James Hamilton. Adam will continue this conversation in the lead up to his year as President. Our next Community BBQ will be held on Wednesday 6 March at Butler Park Lennox Street. I would like to thank our members and friends who volunteer their support for the BBQ. 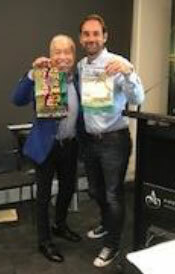 On the 13 February I attended the Yarra Volunteer Leaders Network meeting which provided me with an opportunity to meet other community volunteer groups in the City of Yarra and engage in conversations that impact volunteer organisations and to share our experiences. On the 14 February Tim Baker and I attended the Northern Funders gathering which was a ½ day workshop on practical aspects of grant making, to raising awareness, and engaging volunteers. Tim and I found this to be a worthwhile activity and networking opportunity. We are very grateful for the Grants we have received from Inner North Community Foundation for the Next Step Project, I hope that we can arrange for Executive Director Ben Rodgers to speak at our Club in the next few weeks. Next Tuesday 26 February we look forward to hosting the Celebrating Inspiring Women event at MGC and a report will be provided in the next edition. Lendlease have provided support and opportunity for this event and have sponsored all the marketing, brochures and catering. Kirsten Steedman has offered and provided her expertise in Community engagement and I am very grateful for this. This is a great opportunity for our Club to network, to thank someone who has inspired us and to support our partnership with the Melbourne Girls College and Lendlease. We will have a market place where we will showcase our Club, the Next Step Project and other relevant market stalls. History walk of the old Channel is offered by Lendlease, please join me (I will attend on Tuesday 19 March) or if the 26 March suits you better please enjoy! Join the Richmond and Burnley Historical Society walking tour. I recently forwarded you the Lendlease newsletter which featured an article on the Rotary Club of Richmond's City of Yarra Community Award. Club Trivia Night on 30 March both to be held at the MGC. On the 2 March we will be asking for donations for the Trivia Night from Bridge Street Traders, if you have any connections who maybe willing to support this fundraising effort and provide a voucher or goods, we would appreciate your assistance. The Amora Hotel have provided a night's accommodation and breakfast voucher, thank you to The Amora General Manager Tim Billson. Last week John Benger, Les Frampton, Nia Holdenson, Mark Dwyer, Janice Peeler, Adam Sherwell,, Judy Nettleton, Barry and Sue Roberts. 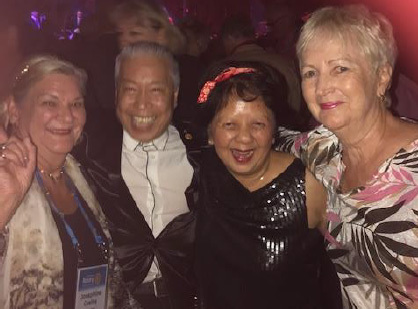 Maureen and Trevor Pang, Maria Makris, Dawn Giltinan, Joan Kennedy, Annette Pepper and I (Sue was unable to join us) attended the Multi District Conference held at Melbourne's Convention Centre, we are very fortunate in Melbourne to have this world class facility. Ben is requesting assistance for the upcoming heats at the Lyceum Melbourne Girls' College. Monday May 6, Tuesday May 7, Wednesday May 8, Thursday May 9 from 7.30pm to 10.00pm. The Final Awards Night will be held on Monday 20 May at the Amora Hotel and it will be a great celebration of 30 years of this RCR Project. This will be held at the MGC and Nia is seeking volunteer interviewers on Thursday 23 May, if you are able to assist please contact Nia. A Rotary Program for 15 to 17-year-old students, from schools across District 9800. Students attend a weekend camp designed to develop their potential through a mixture of lecture style sessions and adventure-based learning. It aims to communicate a series of ideas, problems and social experiences that will assist them in forming their own values and moral standards. Rotaractors and Rylarians act as leaders for the camp, and a Rotary club hosts a Rotary meeting on the Saturday evening while enjoying excellent fellowship with the students and leaders. A big thank you to all my Friends at Richmond. I am so lucky. We are so lucky. The Rotary Club of Richmond has been serving our local community for over 54 years. 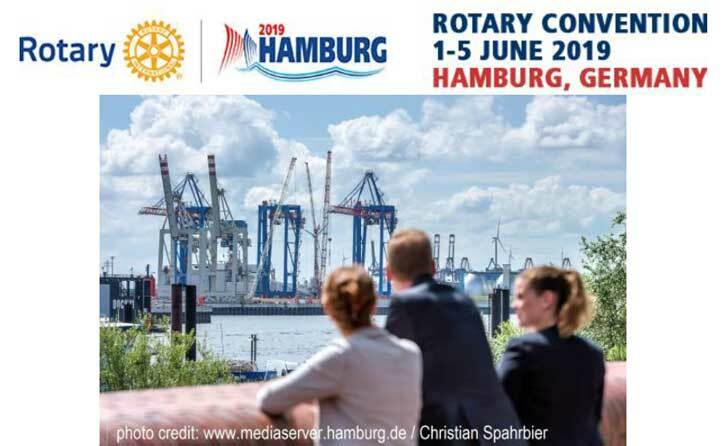 Join thousands of Rotary members in Hamburg for the opportunity of a lifetime at the Rotary International Convention, 1-5 June. Attend general sessions to hear the latest news from Rotary senior leaders, learn new skills and engage in absorbing discussions at our breakout sessions, and take in the local culture both at the House of Friendship and at exciting host-ticketed events, which offer something fun for everyone. Hamburg, known as the gateway to the world, is an eco-friendly city that offers many easy and affordable transportation options. Plan to extend your stay so that you can explore all that Europe has to offer. Preregistration savings end 31 March. Don't wait — register today and Capture the Moment at Rotary's biggest event of the year. Disastrous flooding in North Queensland has left many families and individuals in need of assistance in their recovery. 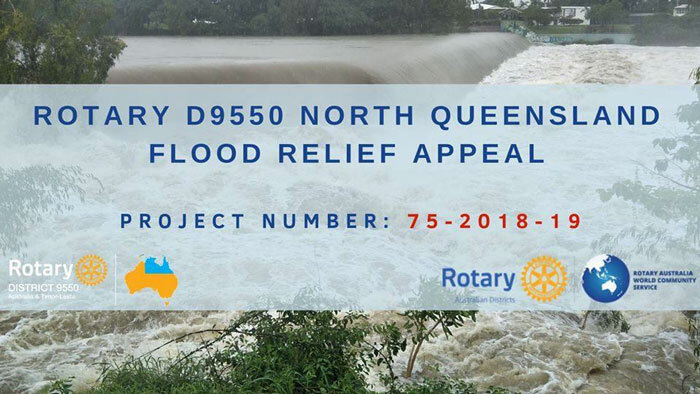 RAWCS National has established a Rotary Australia Relief Fund (RARF) Project to accept donations for those affected by the 2019 North Queensland Floods. The Flood Relief Appeal is designed to assist those families and individuals whose needs are not covered by insurance and Government assistance. Click the link below to make a donation: https://donations.rawcs.com.au/75-2018-19 Rotary Australia Relief Fund (managed by RAWCS) has Deductible Gift Recipient (DGR) registration and has been listed as a Charitable Fund so we can accept tax deductible donations from individuals or organisations. Geoff Clarke, 24 /08/1918-07/02 2019. MBE, charter club member (24/08/1964), President 1967 ? 1968, Paul Harris Fellow 1979-1980, Paul Harris and 2 Sapphires 2008. On his 100th birthday Geoff received congratulations from the Queen, the Governor General, the Governor, the Prime Minister, the Premier and the Scouting movement, however, the award he was most proud of was from Barry Rassin, World President Rotary International. His son Roger presented this short sketch of Geoff's life at his 100th birthday party. 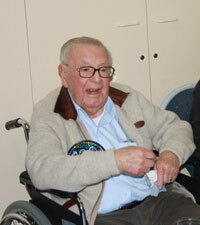 Geoff was born in 1918, being the eldest of three boys and a girl. Denise Webb, who together with Geoff and Joan is also a resident at BUPA. Geoff had a happy childhood living on the outskirts of Melbourne in that era. He did the normal things, like playing footy and cricket in the street and making billy carts and kites and kite - flying in the paddocks, also trying to pinch fruit from the orchards. One of his home chores was feeding the chooks. As a little boy he tried growing chooks by planting them in his garden bed. Fortunately for the chickens they were head facing upwards! Geoff was educated at Carey Grammar until the age of 15 when he joined his father at F.J. Clarke Customs and Shipping Agents, and received a salary of 2 shillings and sixpence. He started work walking the streets and lanes of Melbourne delivering accounts. In 1936 whilst working, he joined the CMF (Citizen Military Forces). In 1939 when the Second World War began, he was called up into the permanent army as 2nd. Lieutenant, 5th Battalion. Geoff then progressed through a series of training courses to then be appointed Captain. In 1942 Geoff was serving in Western Australia when he was given leave to return to Melbourne on a troop train to marry Betty Adair, his first wife. He was six hours late for their wedding. Poor Bride! Discharged in 1945, he returned to work with his father. They bought 2 trucks and Geoff drove one between the client and the wharves, as the majority of goods transport was by ship. Geoff studied to become a Customs Sub Agent in 1951, and continued to improve his qualifications for several years. Geoff built up a big clientele with Chinese clients, spending much time with them to familiarise them with Customs tariff regulations and translation for importation. Meanwhile, back in Camberwell, life became busy. Betty took an interest in pottery, art painting and gardening, the boys joined Cubs and Scouts, and Geoff was asked to run a Rover Scout Crew at the 16th Camberwell scout group. The Rovers, now in their late 70's still meet with Geoff once a year for lunch. Scouting moved on for Geoff to becoming District Commissioner of Camberwell, then to stints as acting Chief Commissioner of Victoria from 1974-1979. Over his time in scouting, he took part in organising Jamborees, Scouting courses, Rover Moots etc. and in 1971 Geoff was awarded the MBE medal (Member of the British Empire ) for services to scouting. When F.J. Clarke and Sons moved to Richmond, Geoff and other business men formed the Richmond Rotary Club in 1964. He was a president, and was later awarded a Paul Harris Fellowship, and Richmond Chamber of commerce citizen of the year 1972. He was Trustee of the Richmond day nursery 1977-1992. During their marriage, Betty suffered from clinical depression, which she managed to hide from everyone, but supported Geoff in his social life, overcoming her fear of public outings. She was a great cook, and it was a big shock to everyone, especially her family, when she died of acute leukaemia, only one week after diagnosis. Geoff had retired from work several years before this tragic event, so they were able to spend time together enjoying holidays around Australia and New Zealand. They had hoped to live out their lives in their home in Berwick, however Geoff became unwell, and Joan had two nasty falls, and following family and professional discussions, it was decided it was time for them to move into care. With Joan being in hospital, Geoff had to make difficult decisions: where to live, selling their home, and packing and sorting goods and chattels. Fortunately, Geoff had help from family and friends. Since June 2016, until the present, Joan and Geoff are happily sharing a room together at BUPA, Narre Warren Nth. Condolences to Joan and his children; John, Roger, Anne and Lynne from all of us at Richmond. Geoff will always be remembered by me for his unfailing good manners, his zest for life, his hard work and commitment to all he undertook, his good humour, his beaming smile and the most wonderful twinkle in his eye. Geoff certainly knew how to' make a difference' and was an inspiration to us all. A perfect example of "Service above Self". R.I.P. This week we mourn the loss of our Charter Member Rotarian Geoff Clarke. I have extended our sympathy to Joan and their family on behalf of our Members. It was only last year we were celebrating Geoff's 100th Birthday. A Community BBQ was held on Wednesday 6 February at Butler Park Lennox Street. I would like to thank our members and friends who volunteered their support for the BBQ on what was a very hot day ? Mark Dwyer, John Benger, Les Frampton, Melinda Dunkley and Sally O'Sullivan. We have another booked for 6 March if any members or friends would like to volunteer please advise Melinda Dunkley. I'd like to again thank you and your incredible team for another highly successful BBQ. We've received some really positive feedback from both agency staff and Councillors ? not to mention the North Richmond community about how the event went, and that's largely due to the warm and inviting way that the Rotary engage with the community. We look forward to having you back again on 6 March, and I'll be in touch later this month. On the 14 February Tim Baker will attend the Northern Funders gathering which will be a ? day workshop on practical aspects of grant making, to raising awareness, and engaging volunteers. Tim Baker has secured a grant from the Inner North Community Foundation for the Next Step Project and the Executive Director Ben Rodgers will be the Club's guest speaker this Monday 11 February. Please support the partnership we have formed with Lendlease by attending the upcoming Celebrating an Inspiring Woman event. Nia sent out the invitations last week and I encourage you to think about a guest who has inspired you and invite them to attend. 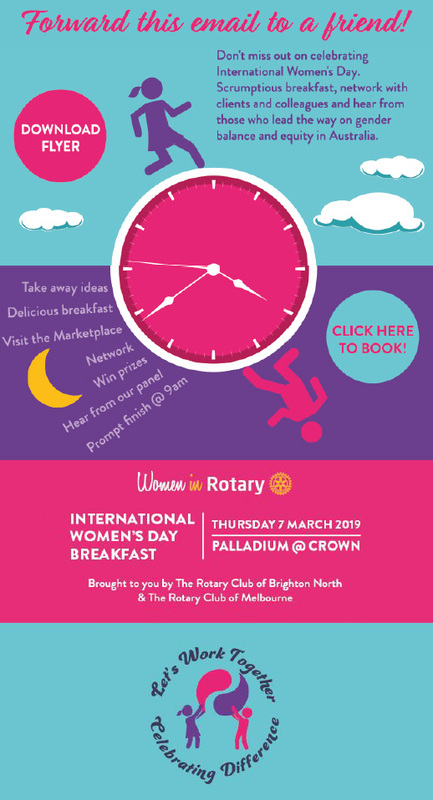 This will be a great opportunity to network, thank someone who has inspired you and to support our partnership with the Melbourne Girls College and Lendlease. The event will be held on Tuesday 26 February and you are required to register for this free event sponsored by Lendlease. How can we support the Club for the event? We can do this by sharing information, inviting friends, family and colleagues to support us and to extend our invitations beyond the Club. We will have a market place where we can showcase our Club, the Next Step Project and other relevant market stalls. Les Frampton has offered to participate on the Rotary Information stand and Tim Baker and Katrina Dwyer will be able to provide information to interested attendees re the Next Step Project. Please let me know if you are able to assist on the RCR Information Stall. We will be showcasing the RCR Next Step Project and any donations received will be directed to this project. We are continuing our planning for the event and I am sure many will be inspired by the panel and by individual messages from those who have inspired us. If members would like to attend but will not be bringing a guest, we can allocate to a table with a MGC student. On Monday 18 February we will hold a Membership Focus Meeting (at our Club meeting) and I welcome our members and friends to participate in this meeting. Adam Sherwell; President Elect 2019-2020 will facilitate the meeting. 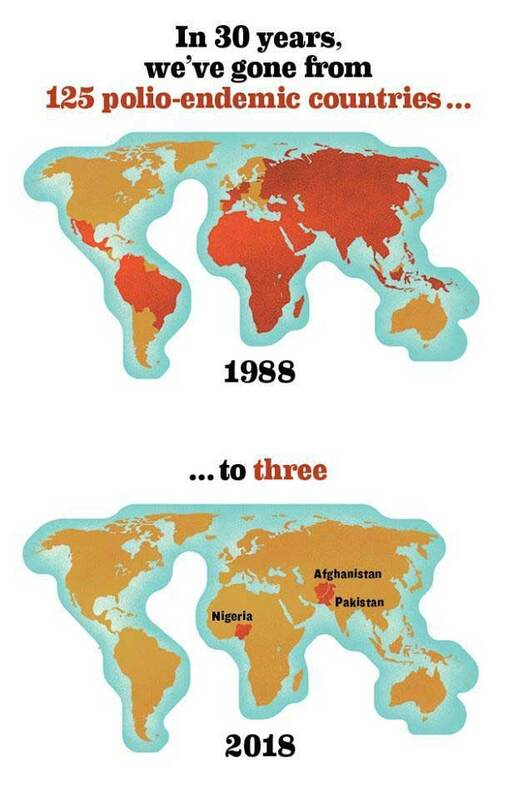 Where do you think we need to be? What are our challenges we face in order to get there? 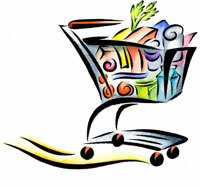 Motto Pop Up Shop on 16 March and our major fundraising event ? 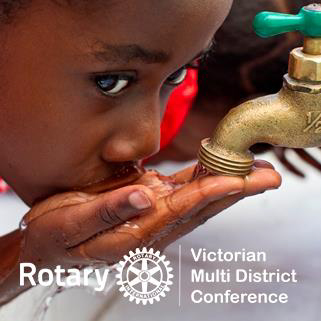 This week many of us will attend the Multi District Conference here in Melbourne. I am looking forward to the Club dinner on Friday 15 February at Mister Minh 350 Bridge Rd Richmond. A conference report to the members and friends will be provided in the next edition of the Bulletin. This ward has been renamed the Ainger Peck Public Speaking Award in recognition of two outstanding Richmond Rotarians Ern Ainger and Nigel Peck. 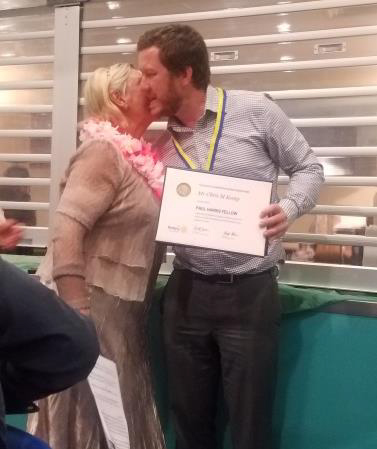 Nigel's wife Patricia attended our Club Meeting last week when Ben Hosking announced the new name for the Awards. 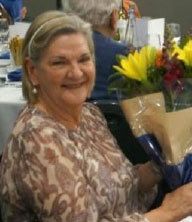 Patricia Peck was thrilled that the Club has acknowledged the contribution of the Peck Family and NHP over many years. Next Meeting will be Monday 18th February and we will hold our Membership Focus Meeting. Next Board Meeting is scheduled on Monday 18 February and will follow on from the Club Meeting ? I will confirm this Board Meeting with the Board as we may defer. been an inspiration in their life. attend as my guest to this event. have inspired their successful journey. Melbourne Girls' College will be hosting their own IWD event on Tuesday 5th March at 6.00pm. There will be a Motivational Presentation with Guest Speaker Rachael Robertson. Rachael is a proven leader: having successfully led in the world's toughest workplace - Antarctica. She is recognized internationally for her thought-leadership on what great leadership actually looks like. She was the youngest and just the second female expedition leader to Davis Station. 25th Monday Katrina, Addo & Tim, Next Step. would like to express my condolences to Melinda Dunkley on the passing of her father John Dunkley, Ben Hosking attended the funeral as a Rotary Club of Richmond member and as a Melbourne Cricket Club Volunteer. Ben volunteered with John at the Melbourne Cricket Club on a regular basis. John Dunkley was committed to charity work through his church, the MCC and other voluntary groups. Melinda our thoughts are with you and your family. On the 14 February Tim Baker will attend the Northern Funders gathering which will be a ? day workshop on practical aspects of grant making, to raising awareness, and engaging volunteers. Tim Baker has secured a grant from the Inner North Community Foundation for the Next Step Project and the Executive Director Ben Rodgers will be the Club's guest speaker on Monday 11 February. Our Club in partnership with Lendlease will be holding the "Celebrating Inspirational Women" event at the Melbourne Girls College on Tuesday 26 February at 6pm providing an opportunity to recognise International Women's Day and to thank a woman or women who have inspired us to make a difference. On Thursday 30 January I met with Nia Holdenson, Jenny List and Kirsten Steedmen to refine the logistics for this event. Nia is continuing to liaise with the Melbourne Girls College and providing support to the event. The concept of the event is for 50 individuals (men and women) to invite and celebrate 50 women who have positively impacted their lives. The event will be held at Melbourne Girls College. We have confirmed that the School Captain Gen Cox will MC the event and may be joined by other students from the school executive. Gen was sponsored by our Club as an Outbound Exchange Student and was the founding member of the MGC Interact Club. As part of the event, there will be a panel discussion with influential individuals in Melbourne. We have secured Jeanette Large as a champion of change for women within the housing industry and Telstra Business Woman of the Year, the work Jeanette has undertaken and the stories of empowerment will be inspiring. We can now confirm Cr Amanda Stone City of Yarra Councillor and past Mayor, Amanda is a community activist involved in campaigns to protect Yarra's liveability, environment and heritage, she believes that the challenges of a changing city can only be met by council in partnership with the community. Rotary D9800, DG Bronwyn Stephens, Bronwyn is the current District Governor of Rotary District 9800 and joined the Rotary Club of Melbourne South in 2008. 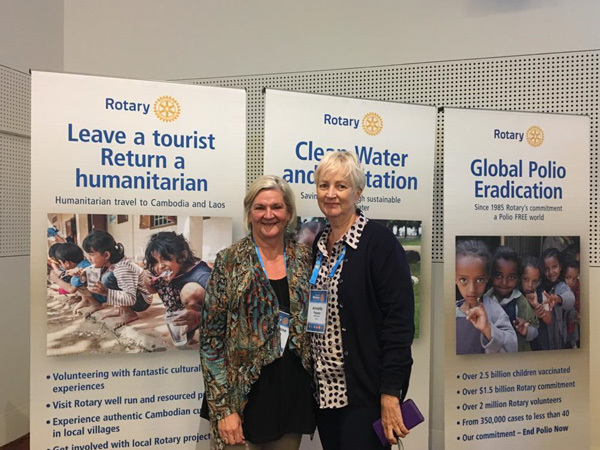 Bronwyn has been involved in water and education programmes in Cambodia and continues to support the Rotary World of Difference project that powerfully portrays the work of Rotary in developing countries and Luz Restrepo CEO Sisterworks. "I believe in the power of women from many nations working together. I studied Medicine in my native Colombia, graduated as a GP and worked in Casualty. Finding that I enjoyed hospital administration more, I moved into an administrative role gaining Graduate Diplomas in Business Administration and Marketing and an MA in Communication. Before leaving Colombia in 2010 I had established my own communications company and was a university lecturer in Marketing. SisterWorks Inc. was born in May 2013 when a committee of volunteers joined us with legal, fund-raising, marketing, and administrative skills to give support and structure to the project. Today, SisterWorks is a not-for-profit social enterprise 'Handmade with Love in Melbourne'. SisterWorks supports women who are migrants, asylum seekers or refugees to become financially independent and happily settled in Australia. Now SisterWorks Family is formed of over 170 Sisters: 68 remarkable volunteers, four tireless staff members and 88 amazing women who are working hard to become entrepreneurs or to have work experience in Australia that allows them to become self-sufficient and independent." 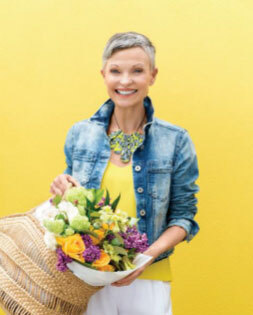 Lendlease is currently working with community groups such as the Rotary Club of Richmond, the Country Women's Association and Money For Jam, a program designed to help women over the age of 50, who are at risk of homelessness, turn their hobbies into micro-enterprises and supplement their incomes. They have partnered with the Zonta Club of Melbourne on Yarra to assist in the making of Breast Care Cushions. The result of a working bee resulted in over 100 cushions being made for distribution to our local hospitals. The Rotary Club of Richmond's Next Step Project will be showcased at this event and I met with Tim Baker on Thursday to discuss this. We are so fortunate to have such a wonderful partnership with the Melbourne Girls College and I thank the school for this partnership. 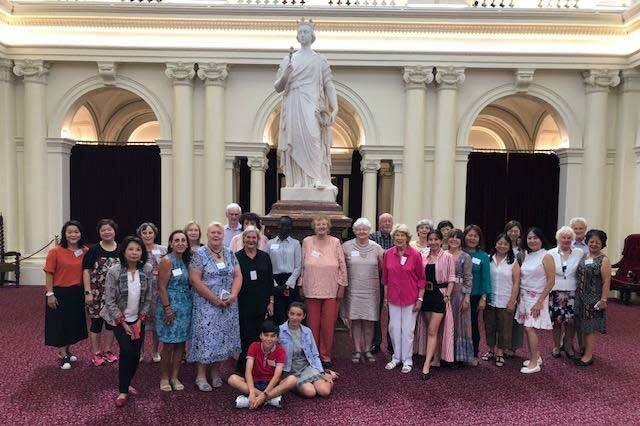 On 23 February, 27 members and friends attended a very successful tour of Parliament House, enjoyed a very interesting and informative tour of the House followed by a delicious lunch. A FORR raffle was held with proceeds raised being directed to student at Richmond High School who may need some 'return to school' assistance. Thank you to Sally and Maureen for arranging this event. It was an opportunity to congratulate John Benger on securing the DFAT Grant for $60,000's, we now hope that through Foundation we are able to secure an international grant which would further boost the funds for this very worthy health services project . 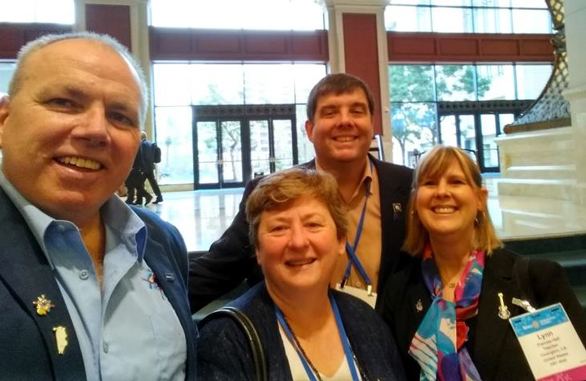 John is supported by the International Committee, Rotarians Janice Peeler, Dawn Giltinan and Andrew Cochrane. The Board recognised the importance of membership for our Club to succeed and to continue to do the amazing and inspirational projects that our Club supports both locally and internationally. We need to work together to grow our membership and I would like to propose that we hold a membership forum to look at ways to grow membership and involve our members and friends - details to follow. 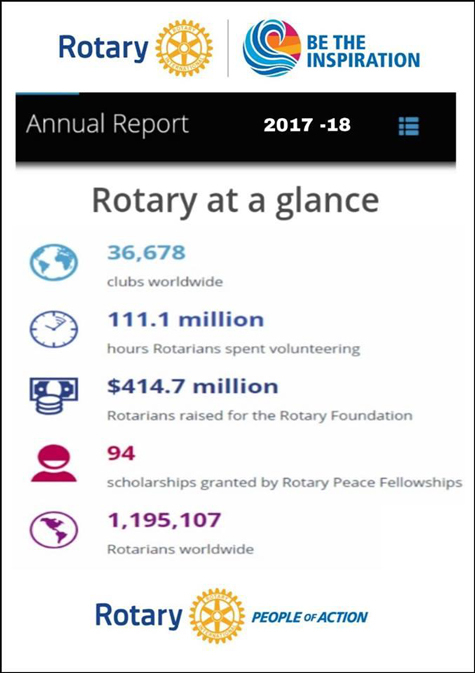 Rotary is an international membership organization made up of people who share a passion for and commitment to enhancing communities and improving lives across the world. Rotary clubs exist in almost every country. Our members change lives locally and connect with other clubs to work on international projects that address today's most pressing challenges. Being a member is an opportunity to take action and make a difference, and it brings personal rewards and lifelong friendships in the process. Rotary's value of integrity. The Four-Way Test has long served as an ethical guide for members to live by in their personal and professional relationships. It provides an opportunity to make a difference in our local and international communities through our many youth, community, international and vocational projects. 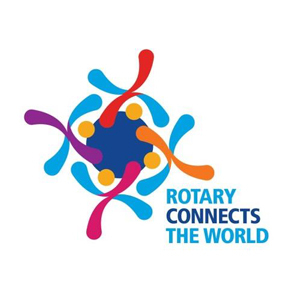 Rotary is the world's largest non-Government Foundation providing educational and humanitarian aid. Rotary is non-political and non-religious, recognising the needs of all people to work together to achieve world-wide peace and prosperity. The Board discussed what information was available to the Club. District 9800 has a number of policy and procedure resources available and the Club has the Rotary Club of Richmond's By Laws. This Saturday a number of members and friends attended the fundraising event Anna's Pasta Night - thank you Anna for your generosity. Monies raised will go towards a new stove for the Donations in Kind (DIK) Kitchen. 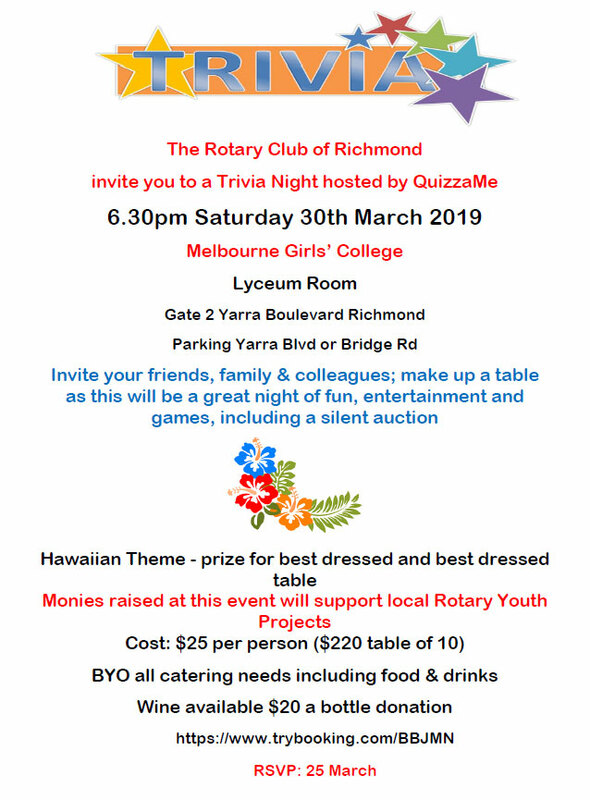 Motto Pop Up Shop on 16 March and our major fundraising event -The RCR Trivia Night on 30 March both to be held at the MGC. Thank you, Barry, for arranging the Club Dinner on Friday 15 February at Mister Minh Bridge Rd Richmond. 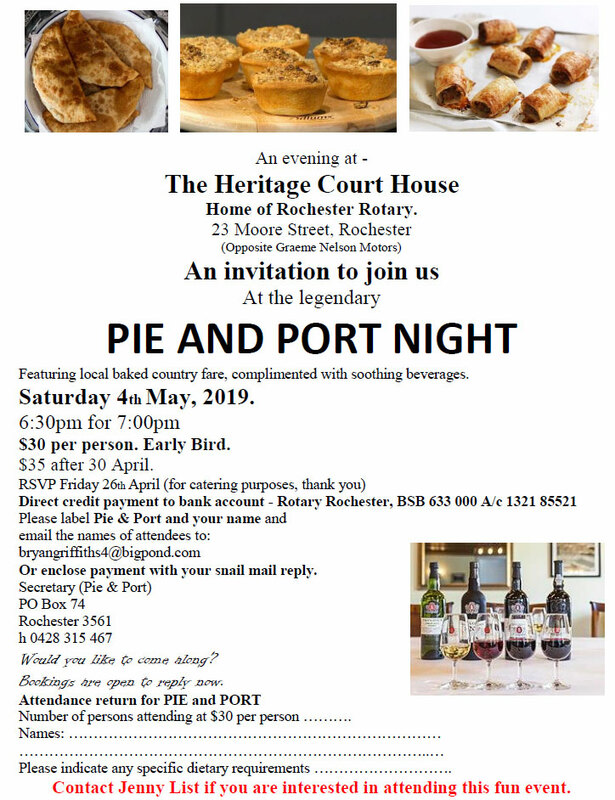 The RC Carlton will be joining us and I am looking forward to a delicious banquet. The Club Dinner is open to members and friends of RCR. There are 16 Members attending the Multi District Conference and a number of us have booked our accommodation at the Amora Hotel. We have some members attending the Peace Summit on the Friday. On Monday night Ben will provide us with an informative and historical picture of the Ainger Public Speaking Awards. Ben will also be making a special announcement! Please put the 20 May into your diaries as we celebrate 30 Years of this wonderful project and opportunity for young students. Club Meeting Next Meeting will be Monday 11th February and we will welcome Ben Rodgers Executive Director of Inner North Community Foundation, Tim Baker will chair the meeting. I just wanted to let you know that Hannah and I both had incredible experiences at the NYSF over January. We can't thank you, and the rest of Richmond Rotary enough for all your support in getting us both there and we would be more happy to come to an upcoming meeting to talk about our experiences. When Melbourne resident Stephanie Woollard visited Nepal for the first time in 2004, the then 22-year-old decided to invest her last remaining $200 of her holiday money in helping seven disabled Nepali women. The money helped to give those women additional skills that Stephanie hoped would help them lead a dignified life, away from the discrimination they experienced in their marginalised communities. In 2006, she started a company called Seven Women in the Nepali capital Kathmandu. Her goal was to help the women produce items that could be sold locally and internationally. 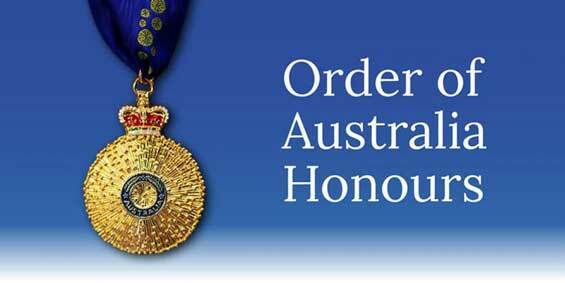 After 13 years, the project is said to have helped more than 5,000 Nepali women, and Stephanie has been awarded the Medal of the Order of Australia for her service to the international community through humanitarian aid. Stephanie said the award would give her an opportunity to share Seven Women's success story with a broader audience. "The award is a fantastic way to show what we've been able to create in Nepal and the (positive) impact on some of the most marginalised women's lives in the country." In 2016 Stephanie was awarded the Inaugural International Responsible Business Award at the United Nations headquarters in the US. "The work has led me to places I'd never imagined going, to share our model of sustainable development," she says. "I never imagined when I first met the women, [the] seven initial women, who were operating out of a tiny tin-shed in Kathmandu that it would grow to this extent. "The success of Seven Women also helped her setup Kathmandu Cooking School and a study tour company called Hands On Development, which runs tours to Nepal for school and university students from Australia. 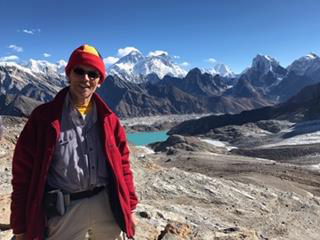 She hopes to inspire Australians to take meaningful actions within their communities through these tours.Stephanie has now been to Nepal more than 35 times and says the country has enriched her life. "Choosing the road of being an entrepreneur, the self- growth is continuous. The people you meet are extremely generous". "Nepal has taught me to prioritise what's important in life and not sweat on small stuff", she says. However, more than for herself, Stephanie is exceptionally proud of what the Nepali women have been able to achieve. "The women now know what they want to do in the future. Sandhya, who has a disability, used to hide her face behind a mask in public is now leading the tours and literacy classes." "She wants to teach other disabled people, show them they can achieve anything." Tonight's Meeting: Welcome to our first Club meeting for 2019. This year we will see a price increase for our Dinner Meetings - the price will be increased to $35 (this will include the $2 Happy Dollar). We will still have a "Happy Moment" with no monetary contribution at the meeting. The Amora Hotel like many other businesses has had to increase our meal rate and therefore this is reflected in the increase in the dinner meeting fee. The money we receive at the Dinner Meetings covers the cost of the dinner and a small amount is distributed for club administration. The Rotary Club of Richmond does not use any of its fundraising money to cover any administration of the Club. The money for administering the Club comes from our annual dues and a small amount from weekly dinner meeting fees and the happy dollar. This decision has been made in consultation with the Treasurer and Board members. The Amora has confirmed that other than the price increase for meals all of the above will continue to be offered. Firstly, I would like to wish you all a very Happy New Year and may the year ahead be happy, successful and rewarding. I would also like to take this opportunity to thank members, friends and the supporters of our Club for their ongoing engagement with our Club. It was my great honour to be able to acknowledge the commitment of two of our outstanding members. Chris joined our Club in July 2013 introducing us to an international project in Bali. Chris has continued to support international projects through our Club and we can be very proud of the success of these projects. Inspiring Rotarians, friends and family to embrace projects that make a difference in communities locally and abroad. Chris led our Club in 2017-2018 and as the Club's President he inspired us and we loved his sense of fun, his enthusiasm and his commitment. I would like to acknowledge the support Chris receives from his partner Mel and his family. Tim joined Rotary in September 1992 and has been committed to making a difference to the lives of many young people in the City of Yarra whose lives have been changed by Tim's commitment. Tim has been the Community and Vocational Services Chair for many years and in this role, he has introduced the Club to a number of outstanding projects which include the Rotary Youth Arts Project, the Next Step Project and Mock Job interviews. Tim you are an inspiration to me and to our members and supporters, thank you for all that you do to make a difference. I would like to acknowledge Tim's wife Ann for her support. As a representative of our Club I have joined a City of Yarra volunteer network group and have my first meeting on Wednesday 13 February. Community BBQ confirmed for Wednesday 6 February at Butler Park Lennox Street 11.30 to 2pm if you would like to join the BBQ volunteers please let me know and I will provide all details. On the 14 February I will attend the Northern Funders gathering which will be a 1/2 day workshop on practical aspects of grant making, to raising awareness, and engaging volunteers. Tim Baker has secured a grant from the Inner North Community Foundation for the Next Step Project and the Executive Director Ben Rodgers will be the Club's guest speaker on Monday 11 February. Ciaran invited members and friends of Rotary to visit the Richmond Police Station to have a look at the facility and to see the Honour Board. I will forward Ciaran's mobile to members so that you can arrange a visit. 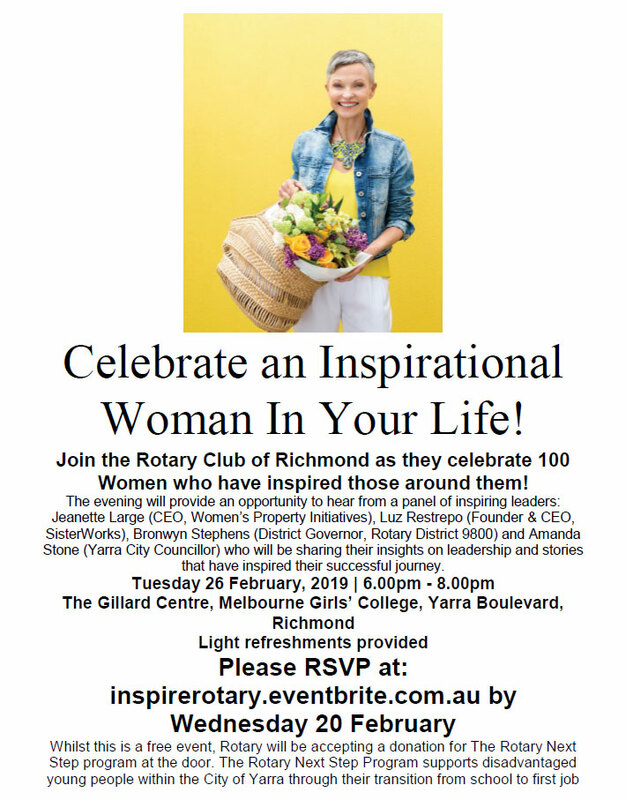 The "Celebrating 100 Women" event will be held at the Melbourne Girls College on Tuesday 26 February at 6pm and this will be an opportunity to recognise International Women's Day and to thank a woman or women who have inspired us to make a difference. The concept of the event is for 100 individuals (men and women) to invite / celebrate 100 women who have positively impacted their lives. The event will be at Melbourne Girls College (to inspire the next generation). As part of the event, there will be a panel discussion with influential individuals in Melbourne. 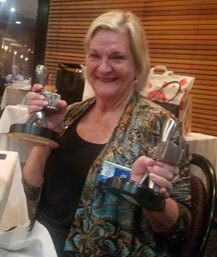 We have secured Jeanette Large as a champion of change for women within the housing industry and Telstra Business Woman of the Year, the work Jeanette has undertaken and the stories of empowerment will be inspiring. The event will be coordinated by our Club and Lendlease and I will keep you all informed. A Rotary committee will be formed to assist with any logistics and catering will be managed by Lendlease. This will be a free community event and the club will raise funds for the Next Step Project which has a shortfall of approx. $3000 following successful Grant submissions. Nia is liaising with the Melbourne Girls College as we would like to involve the student executive. If any members would like to join the "Celebrating 100 Women" Rotary Committee please let me know. A great example of a Community Partnership with our Club. I have received feedback from a number of attendees who enjoyed the Club's Christmas Party. Last year we decided on a different approach hosting the event at the Melbourne Girls' College. We were blessed with a beautiful evening and over 90 attendees. Jenny List and her committee arranged the catering and this was a success, it was however quite a lot of work and I would like to take this opportunity to thank all who contributed to the success of the evening. It was great to see Rotarians, friends, family and partners attend the celebratory event. The Salvation Army Band was as always, a wonderful addition to the evening and providing the real spirit of Christmas. I would like to thank the Band lead by Rotarian Warren Golding; it was a privilege for our Club to make a donation to the Salvation Army who does outstanding work in the community. Goldit's dance group provided some spectacular and vibrant pre dinner entertainment and thank you Goldit for arranging this it was a great success. It was great to have DG Bronwyn Stephens and Mark attend along with PDG Neville John and Rebecca. We are so fortunate to have such a wonderful partnership with the Melbourne Girls' College and I thank the school for this partnership. On 23 February a number of members and friends will attend the tour of Parliament Houser. Thank you to Sally and Maureen for arranging this event. John Benger's submission for a DFAT Grant was successful, receiving $60,000's. This is an outstanding result for the Club and in particular the Maluk Project, this grant will make a difference to health service provision in Timor Leste. The Committee has been invited to attend the Board Meeting on the 24 January to update us on the status of the Project and the DFAT Funding. Chaughada Progressive English School in Nepal. This project recently received a donation from the RC Moonah Tasmania; Ben Covelli was pleased to receive this donation. We are providing a 5-month teaching internship at our school. Return air fare to Nepal. Travel insurance coverage for the period. We are after a teacher or a professional with experience working with children. The internship is for 5 months commencing in April 2019. You will work with grades 4-6. We are after someone that can bring creative ideas to the school...your work will not just be teaching from a text book...but you will be required to bring your own initiatives to the classroom. Be it from music, poetry, art, building, drama, travel and life in general. The successful applicant must be able to draw on his/her life experiences and use these as a form of learning and education and assist our children to explore their ideas and develop their self-expression, confidence and learning in a child centred learning environment. 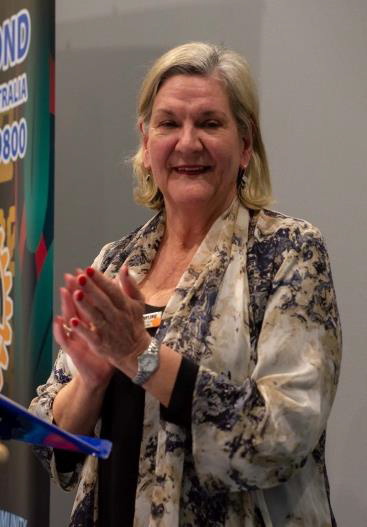 Cr Danae Bosler Mayor of the City of Yarra will be inducted as an Honorary Member of the Club at our first meeting on Monday 21 January 2019. We will also be inducting our new MGC Liaison Teacher Emily Miller early in the year. Emily attended the Club's Christmas Party. I am thrilled that Brooke O'Callaghan will remain a member of our Club. 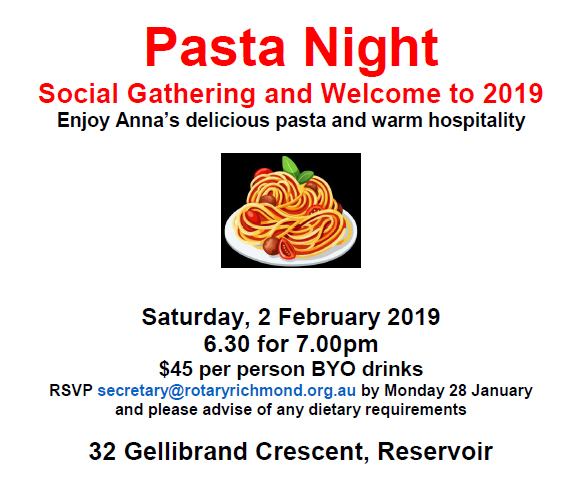 Please support the upcoming Pasta Night Saturday 2 February hosted by Anna Walpole - thank you Anna for your generosity. Advise either Nia or Melinda if attending or if you would like to make a donation, monies raised will go towards a new oven for the DIK Kitchen. The Multi District Conference is coming! The Club Dinner is booked at Bouzy Rouge for Friday 15th. See Barry Roberts. The Club Dinner is a highlight and all members and friends are invited. There will also be attendees from the Cluster. DGE Grant Hocking and Melissa travelled to the International Assembly in San Diego for the last of their training before taking office on July 1st. There they that met up with Brian and Lynn Hall. Brian was a great Rotary International President's Representative RIPR at D9800 Warrnambool conference 2018. There was a big HELLO from Brian and Lynn to all their friends in D9800. In San Diego the new theme and logo for 2019-2020 was announced. 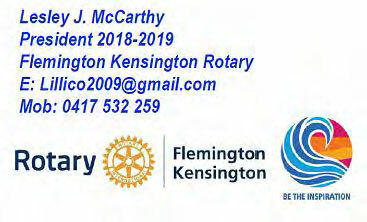 The latest District Bulletin is on the D9800 website at www.rotarydistrict9800.org.au.